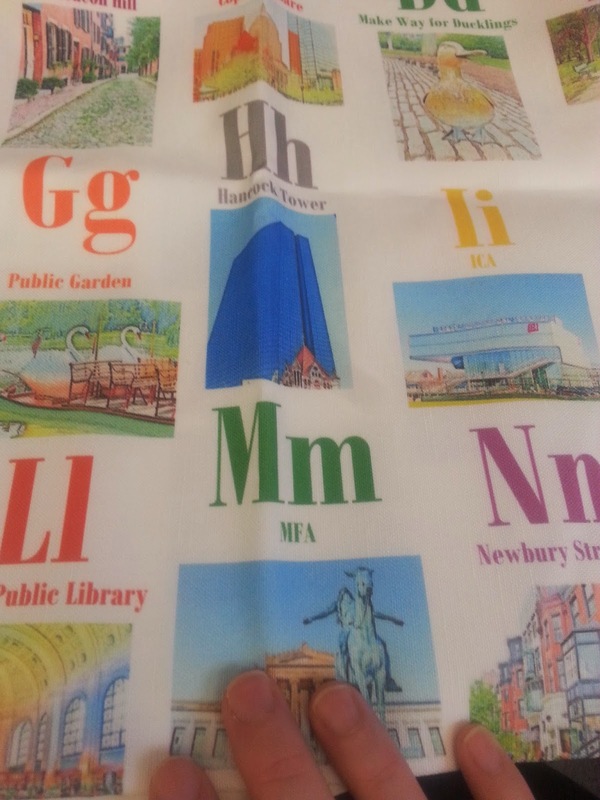 cityette - ABC Boston: spoonflower fabrics have arrived - new products coming to the Etsy shop soon! spoonflower fabrics have arrived - new products coming to the Etsy shop soon! Fat quarters of fabric were on sale 2-for-1 recently at Spoonflower and so we took advantage and ordered a bunch of fabric to make things with for the Etsy shop- we now have tea towel fabric for the newest version of the alphabet poster (yay!) 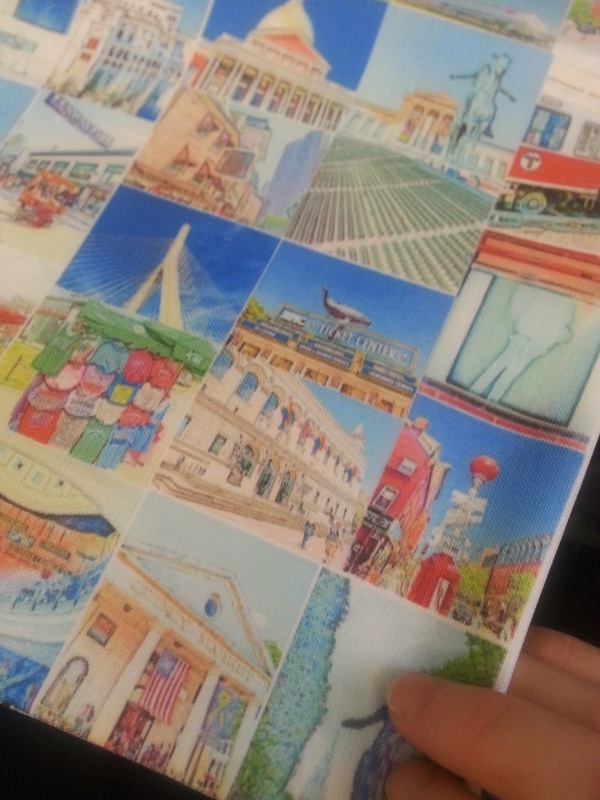 as well as some very colorful and pretty fabric of just the photos of Boston landmarks. Also, since I live in Quincy, I decided to throw some local pride/cheeky humor into what may become a throw pillow for the guest room at our house :). 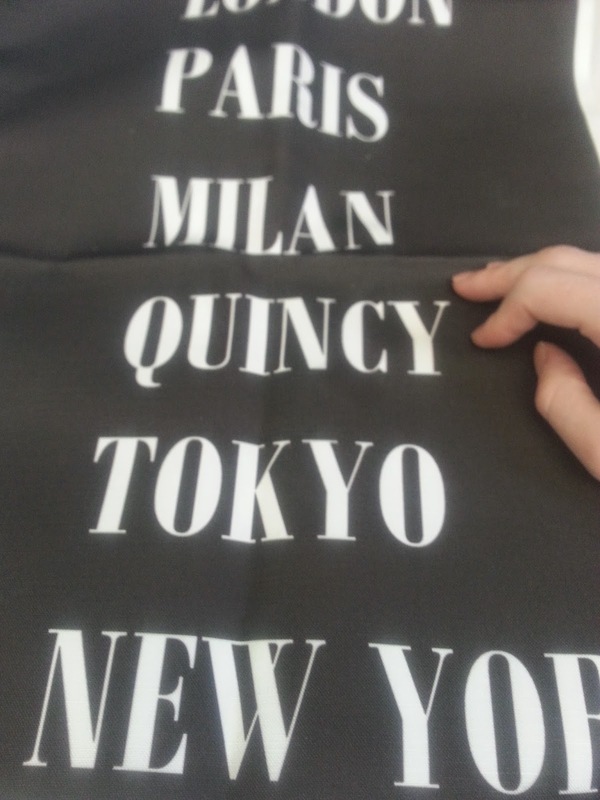 In complete honesty though, we do love Quincy. A lot. This is installment one of two rounds of fabric we ordered, so stay tuned for the second batch. We went a tiny bit crazy on the ordering, because if you know me, you know I love *love* love a good sale.